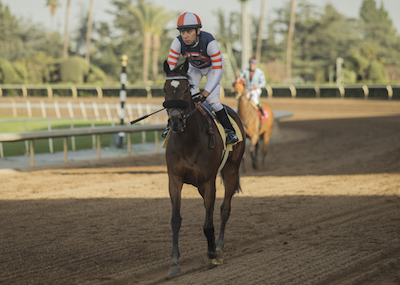 Horse Racing Partnerships 101: How do Owners Pick a Jockey? Horse owners or the general partner of a horse racing partnership faces an important decision before each and every start. Who do you choose to ride your horse? 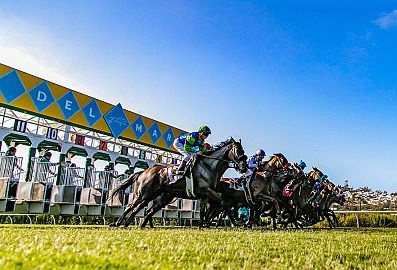 In a recent blog “Seriously, how much does it cost to own a racehorse”, the costs of ownership were broken down to around $45,000 for routine maintenance and training fees excluding stakes nominations costs. Keep in mind that the costs are generally split between shareholders of horse racing partnerships making them a little more affordable. 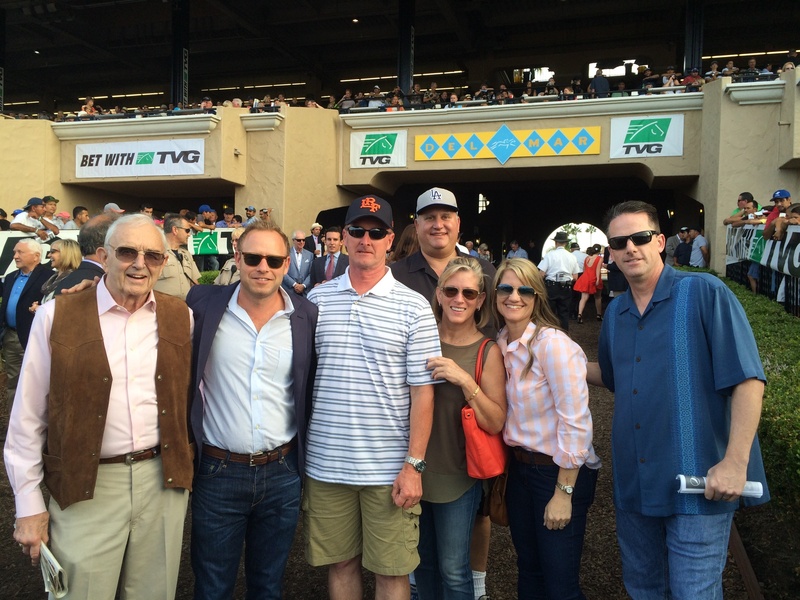 Many people go into horse ownership for the thrills and the experience, but in the end horse racing partnerships are a business with the end goal of producing a profit for its partners. 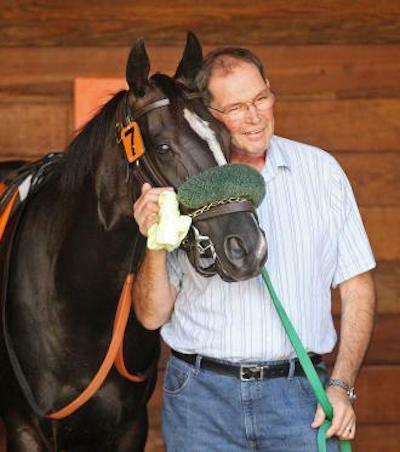 Trainer Barry Abrams retired last year and California racing is not the same. He co-owned the great California stallion Unusual Heat (a horse he claimed) and had a style of training not seen in decades (and still not emulated). He was also a mentor to a young syndicate named Little Red Feather. My favorite Barry Abrams story is this. He sold us and our partners 80% of a CA Bred horse named Unusual Beam and almost immediately the horse got hurt and needed 8 months off. As you can imagine this wasn’t an ideal start to the new partnership. So, Barry came to me and said, I have another horse! As my eyes rolled, he explained the other horse, the CA Bred Lindz Winz, was just coming back from a similar injury and the same partners should “trade” 25% of Unusual Beam for 25% of Lindz Winz. TRADE!? Is this Major League Baseball? The important OBS March 2YO-in-training sale is set for tomorrow, March 14, 2017 and LRF is here trying to find the next Midnight Storm for our horse racing partnerships. Auctions are incredibly exciting. With 2YO’s even more so. It feels like the NFL combine. You have these incredible athletes and it is your job to find Tom Brady from a very talented pool with like-minded competitors swimming around you.The process of finding your horse takes talent, patience, and like anything in life….hard work. Anyone can look when a sale is over and say “I could’ve had that horse for $5,000 more.” The problem with that statement is a sale moves forwardly, not backwards. There are 677 horses at OBS March, so the odds of landing on the same horse as LRF is actually 1 in 677. And when sale is over and the horse is ours… no, you can never, ever just buy that horse for $5,000 more. 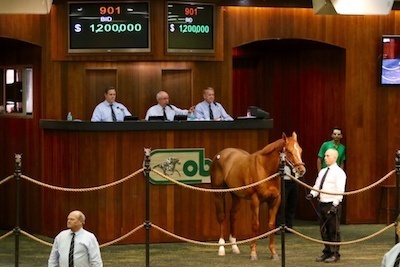 The only way to buy a horse at auction for the sales price listed is to start at the beginning, like everyone else, and whittle the 677 horses down to your short list. Then you must survive the auction itself and become the winning bidder. It’s grueling. Did you Know Nearly 90% of All Revenue Received by LRF Flows to the Entire Horse Racing Industry? There are many benefits to owning a share of a Little Red Feather racehorse. First and foremost, you can expect a first-class communal experience owning a championship quality thoroughbred with hands-on management and incredible client communication. Horse Racing Partnerships 101: Seriously, How Much does it Cost to Own & Train a Thoroughbred Racehorse? Buying a thoroughbred racehorse can be...should be....the most exciting investment you ever make. There is no better feeling than watching YOUR horse take the lead at the top of the stretch. It's the question we get asked the most - - and here's the answer. 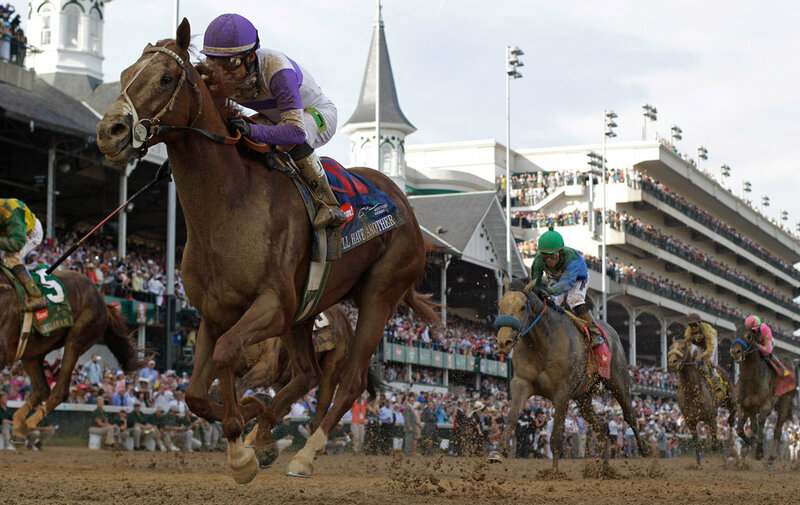 Championship quality thoroughbreds cost between $100,000 and $300,000 to purchase and about $45,000 a year in expenses. Of course, buying a thoroughbred is competitive and purchase prices can easily exceed $300,000. We'd like to think if you have the right team representing you, they will be able to find a top thoroughbred racehorse in the range above. Furthermore, if you join a syndicate like Little Red Feather Racing, you can purchase as little as 5% and share in the above costs with fun and like-minded partners all professionally managed. $15,000 upfront and $2,250 per year for 5% allows you to spread your risk and own many horses for less than the cost of owning one on your own! 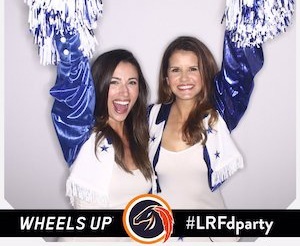 Horse Racing Partnerships 101: How do Training Expenses Work with LRF? It’s one of the most frequently asked questions we receive and for good reason. Understanding the risks and exposure is important when evaluating any investment. Thankfully, one of the most consistent and predictable risks associated with horse racing ownership is expenses. 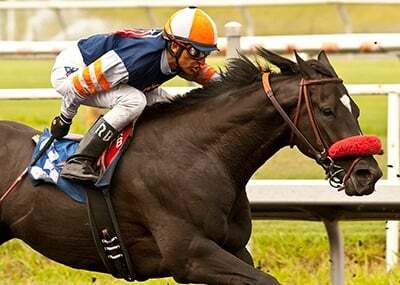 As we like to say, whether you are stakes winner or a claiming horse, yearly expenses are generally without fail between $45,000 and $50,000.